Roku, which enables users to stream videos, music and casual games to their TV, is today announcing that it has surpassed 700 channels on its platform, including Netflix, VEVO, Spotify and Amazon Cloud Player. Later this quarter, Roku streaming device owners in the United States will even be able to enjoy content from Time Warner Cable, with more than 300 live TV channels expected to be featured at launch. This is notable because it will mark the first time TWC TV will be available for streaming on a consumer device connected to a TV set. Roku says, in all, its customers streamed an impressive 1 billion hours worth of entertainment in 2012. The company’s players can be bought at Roku.com and major retailers at $49.99, and the Roku Streaming Stick is $99.99. 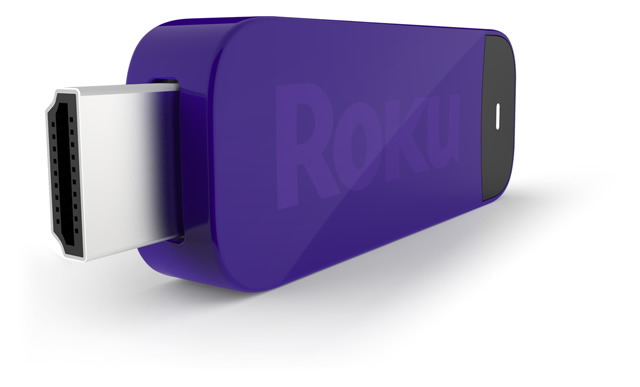 The Streaming Stick basically enables Roku to integrate its streaming technology and platform straight into HDTVs and other products. The device itself (pictured) is about the size of a standard USB flash drive and features built-in WiFi, processor, memory and software. It comes bundled with a number of products already, including the 3M Streaming Projector and select Smart TVs from so-called ‘Roku Ready’ partners. Roku is today announcing six new additions to that particular line-up, namely TCL, Coby Electronics, Harman Kardon, Hisense Electric, Voxx Accessories and Westinghouse Digital. Existing partners include 3M, Hitachi America, Insignia (a Best Buy brand) and TMAX. For more CES 2013 related news on TNW, click here.